Groupe Beneteau maintains sailboat dominance while adding powerboats in the U.S. market. French-designed NC 795 and NC 895 cruisers are being built at the Beneteau facility in Michigan. The company has been selling sailboats in the United States since 1976, when it established its U.S. headquarters in Annapolis, Md. In 1986, it began building sailboats in Marion, S.C., for the American market. Jeanneau sailboats followed when Jeanneau America was created in 1996. 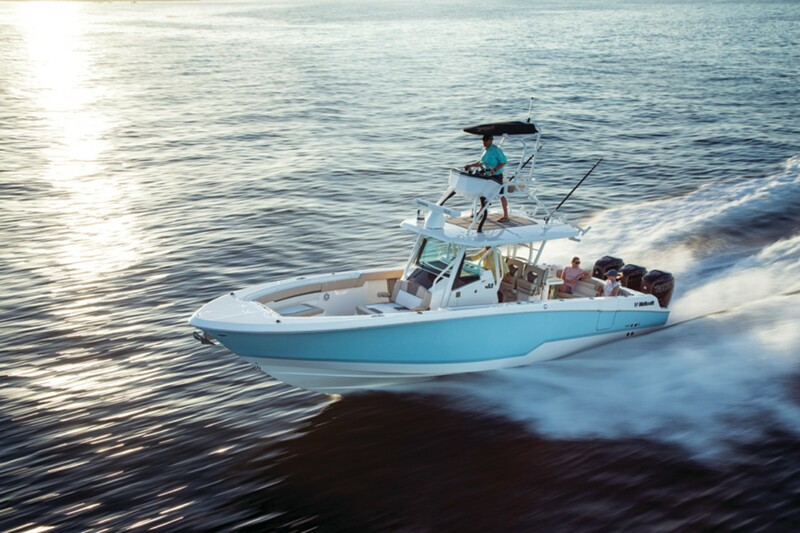 The group, which had gained a majority of the sailboat market here, opened a powerboat division at its Annapolis headquarters in 2011 and began to market its Beneteau and Prestige powerboat brands to Americans. 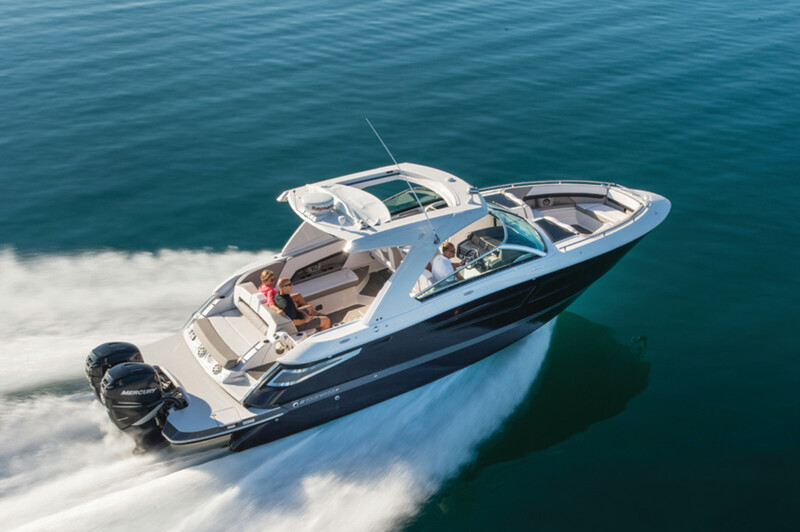 It added four more brands when it acquired Cadillac, Mich.-based Four Winns, Glastron, Scarab and Wellcraft in 2014, and later began selling Jeanneau powerboats in this country. Like most builders, Groupe Beneteau has reacted to market trends by offering outboard boats across several brands. “For the American brands, particularly Four Winns, Glastron and Wellcraft, relevant models are being designed from inception to accommodate sterndrive or outboard power, right up to 35 feet,” Armendariz says. Outboard volume sales have surpassed sterndrive sales, and sales of the outboard models have doubled year-over-year for the past two years, says Jeanneau North America marketing director Margriet Mitchell. Armendariz says the trend toward outboard power will continue. “Both Mercury and Yamaha have some great product coming out, and I think consumers are reacting positively to that,” he says. 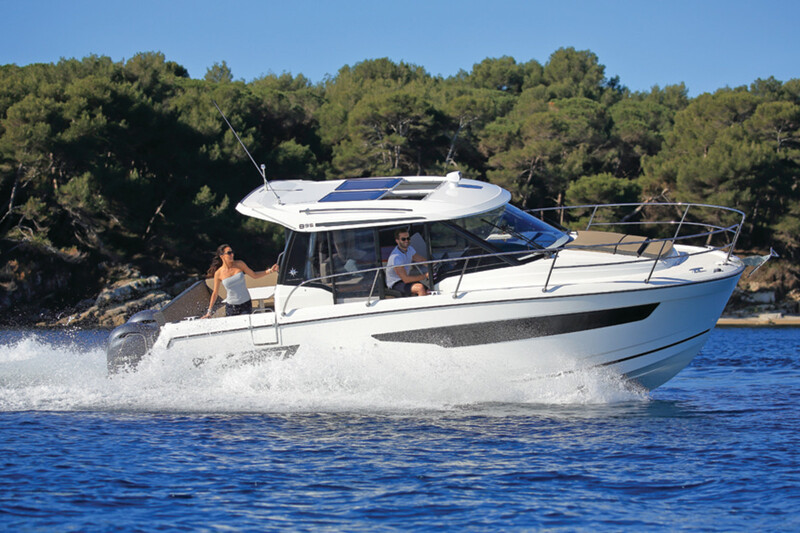 The outboard-powered Jeanneau and Beneteau models initially will be built in Poland and exported, but some production eventually will shift to Michigan. Four Winns continues to design new models in both outboard and sterndrive configurations. The group has integrated a training and orientation program called Groupe Beneteau Boatbuilding University. It’s a six-week structured program that is required for every employee, from the factory floor to executives. “The idea was to address the high rate of turnover in employees with under 12 months of tenure with us,” Armendariz says. Some molds of the Wellcraft brand will be transferred to Groupe Beneteau’s facility in Poland. Part of the problem is that relatively small companies serve the industry, Armendariz says. “The demand that most of us have is straining capacities,” he says. Dealers and clients have responded favorably to the shift, Mitchell says. “Some other international dealers in Australia and England have acknowledged this change and are now having fun referring to it in social media,” she says. Glastron models smaller than 22 feet will now be built in the Cadillac sportboat plant. Canada remains a significant market for the group, particularly for the four Michigan-based brands, despite retaliatory tariffs the country imposed on U.S.-built boats. “The Canadian tariff is 10 percent, so it’s bit more manageable than others,” he says. 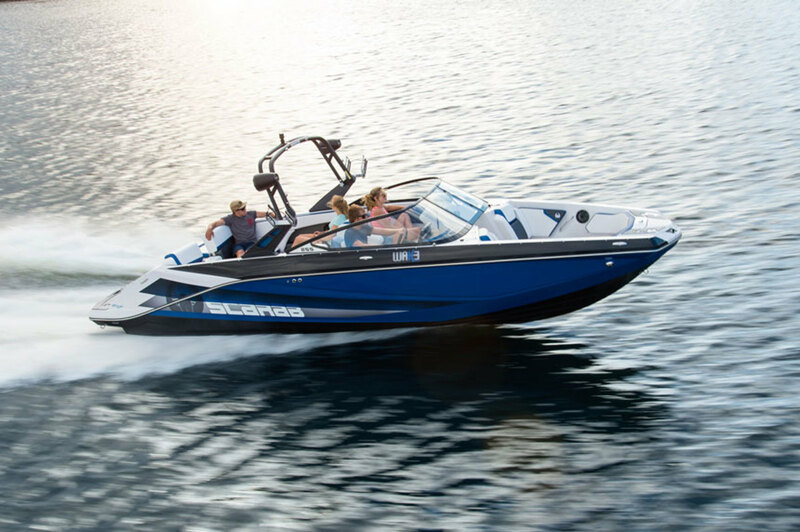 Scarab has become the world’s second-largest jetboat brand. Beneteau launched five models at the Newport (R.I.) International Boat Show in September, including the Figaro Beneteau 3, which won a Newport for New Products Award in the category best new sailboat under 35 feet. This summer, Beneteau announced the acquisitions of two sailboat builders: Slovenian Seascape, which produces boats from 14 to 17 feet, and Polish Delphia, which builds motoryachts as well as sailboats. Two of the five Beneteau models that debuted in Newport — the 18-foot and 24-foot First sailboats — were a result of the Seascape acquisition, Armendariz says. The hulls were painted an eye-catching red and black, which gave attendees a glimpse into the builder’s more youth-focused strategy for entry-level sailboats.